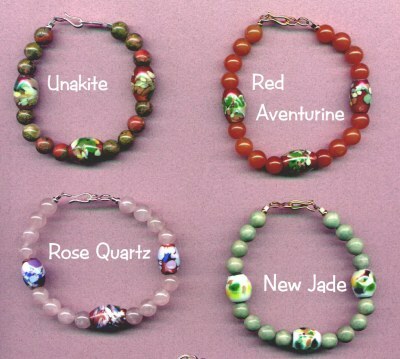 Each gemstone is believed to have a unique power ; many people believe wearing these gemstones enhances their personal power, or brings them closer to their goals. Choose the gemstone that best suits you. Clasps are sterling silver or GF.